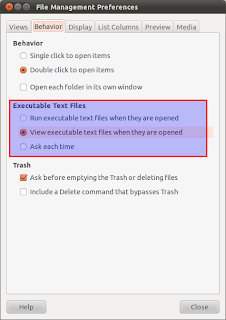 While working on a website I had problem of file not opening when I double click them or choose 'open' from right click menu. I had set the default opener for .html file 'geany', but no matter what I do it wouldn't open. 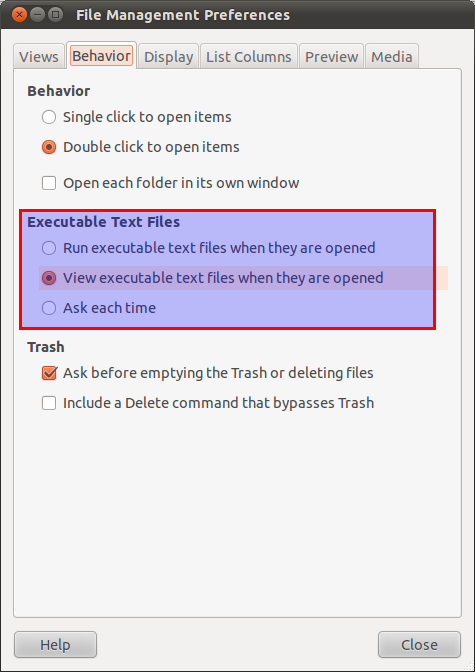 I tried changing it to 'text editor' (gedit) but none of the file would open with the default program. 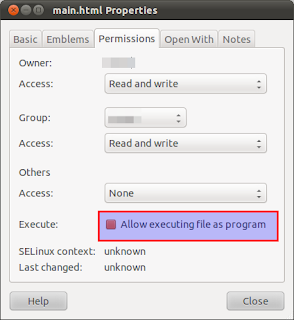 After investigating the problem was the text file had +x (execute) permission on them. 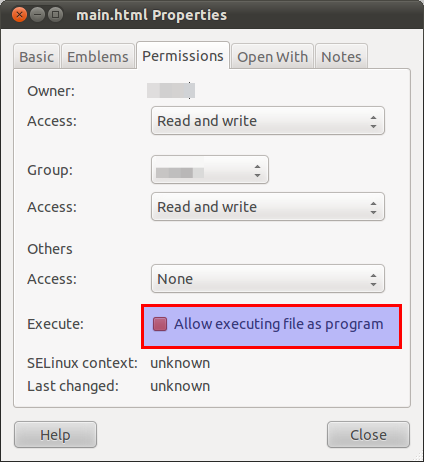 And I had set preference in nautilus to run executable text files when they are opened. So every time I was trying to open the text file it was running instead of opening.